In the 1967 movie The Graduate, Dustin Hoffman plays the part of a twenty-one-year-old, freshly minted college graduate named Benjamin Braddock. To celebrate Benjamin’s graduation his parents throw a dinner party and invite a few friends over. At the party, one of the friends of his parents gives Benjamin some sage advice, just one word: plastics. Looking back at that simple bit of advice, it was so prophetic—plastics. Since then, the amount of plastics made and used on the planet has exploded. You would have to travel to the most remote corner of the Earth not to run into something made of plastic. This tough, durable material made from petroleum has been around for over a century and has been made into everything from drinking cups to parts of space vehicles. The problem is that it is so tough and durable it doesn’t easily degrade. That plastic spoon your mother used to feed you your baby food and then threw away is still around somewhere; hopefully it has been recycled into something else, but probably not. If it wasn’t buried in a landfill, then it may be washing up on some beach in Indonesia by now. 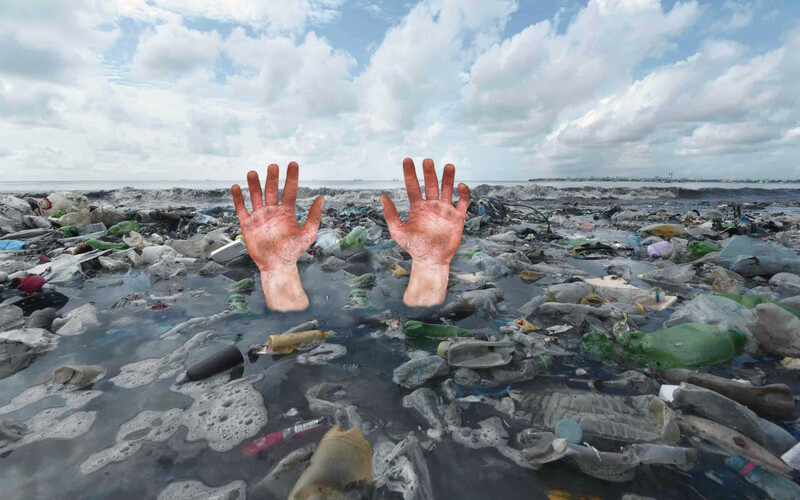 We, the people of planet Earth, are literally swimming in our own plastic waste. This has got to change! Plastics have been around a long time, starting in 1907 when Leo Baekeland invented the first synthetic plastic, called Bakelite, and coined the term “plastics.” Since then, clever people all around the world have developed new and more useful products from synthetic organic polymers of high molecular mass from petroleum. And this stuff is nearly indestructible; it can take hundreds, or even thousands of years to fully decompose. Now we are at the point where much of the products we consume have a portion of plastic in them. Think of your drink cup, bottled water, a straw, computer case, pen, throwaway spoons and forks, and the list goes on and on. About 8.3 billion tonnes of plastic have been produced since the 1950s.To give you an idea of just how much plastic is around, the typical Ford F-150 pickup truck weighs around 5,000 pounds. Doing some math, you come up with the equivalent of 3.6 billion F-150s worth of plastic have been produced in the last 70 years. Since there are around 7.6 billion people on Mother Earth, each person could have roughly a half of a truck’s worth of plastic. So think about half a truck worth of plastic parked in your driveway for every member of the household, and maybe that will give you some perspective on the problem. And most of the plastic is still around since only nine percent has been recycled and twelve percent has been burnt. That means nearly eighty percent of the plastic ever produced is somewhere. The oceans are becoming littered with plastic. It is estimated that by 2050 the oceans will contain as much plastic as fish. When plastic gets dumped into the ocean, the effects of the wave motion, salt water, and ultraviolet light start to break apart the plastic into “microplastics,” which are small enough to be eaten by fish. With an estimated seventy percent of the fish having some exposure to microplastics, that means this plastic waste is entering the food chain. Scientist have just begun studying the problems associated with the ingestion of plastics by humans. So far, the results are all negative. No surprise; eating plastic isn’t a good thing for humans. You would think the more affluent Western cultures of North America and Europe would be most responsible for the problem of plastic pollution—not so. Most of the land-based plastics that enter the oceans come from the fast-growing East Asia, where waste-collecting systems are flawed or nonexistent. In October 2017, scientists at the Helmholtz Centre for Environmental Research, in Germany, found that ten rivers—two in Africa and the rest in Asia—discharge roughly 90 percent of all marine plastic. 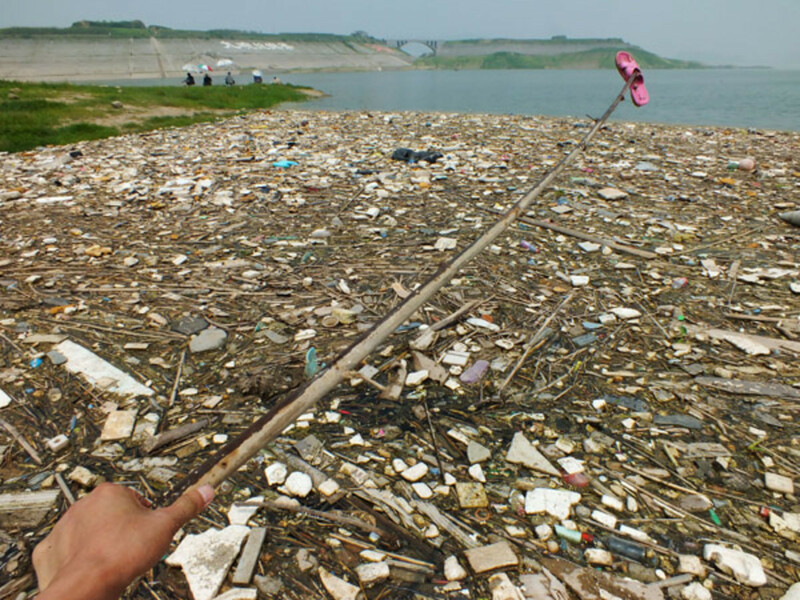 The massive Yangtze River in China alone carries 1.5 million tonnes a year of plastic trash into the ocean. 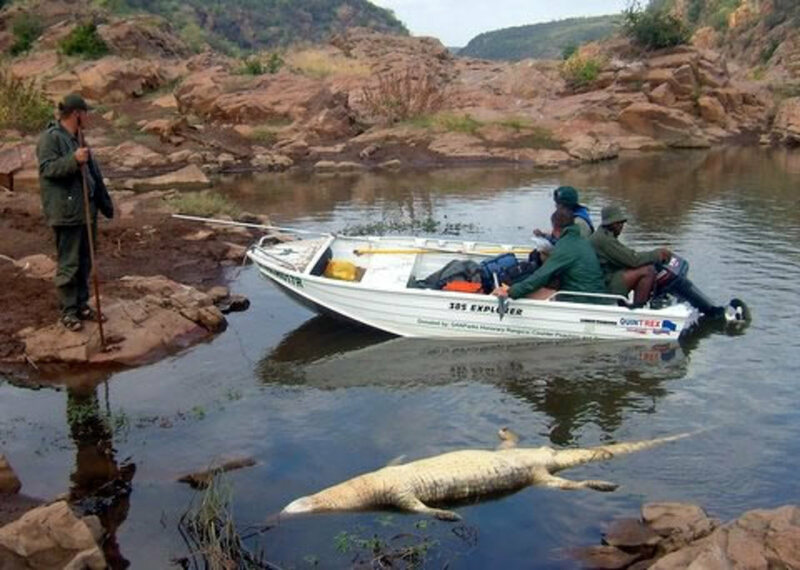 Going back to the analog of the weight of an F-150 truck, the amount of plastic is over 600,000 equivalent trucks made of plastic that float into the sea each year just from the pollution in this one river! Floating garbage on Yangtze River in the upper reaches of Three Gorges Dam, in Yichang, Central China's Hubei province. Recently, some innovative solutions are starting to come to fruition. Unfortunately, each of the solutions is only a good start. The big answer to the problem doesn’t seem to be imminent. Plastic pollution will be with us for years to come. On July 9, 2018, Starbucks Coffee announced it would stop using plastic straws in their shops by 2020. Dell Computer Company is beginning to create laptop packaging recycled from litter found on Haitian beaches. 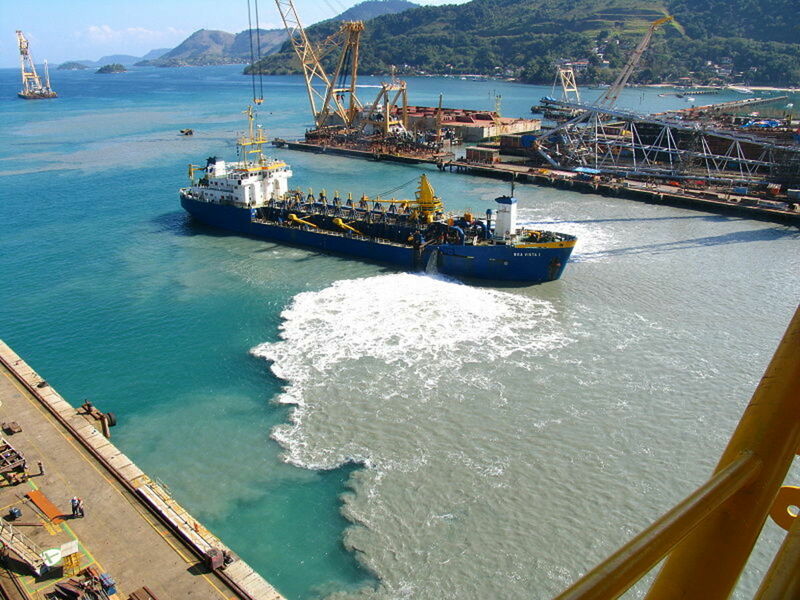 The company estimates this will keep 16,000 pounds of plastic out of the ocean. Clothing designer Stella McCartney announced in 2017 that she will use ocean plastic in lieu of woven or recycled polyester in some of her products. She has previously worked with Adidas to create a sneaker made from material retrieved from the ocean. Dutch entrepreneur Boyan Slat has invented a system of floating barriers with underwater screens to extract plastic and wants to test it on the Great Pacific Garbage Patch, an expanse of ocean off the California coast where plastics litter has accumulated. Efforts are underway to make the producers of plastic responsible for the environmental impact of their products through mandated regulations. It is estimated that drink companies alone produce 500 billion disposable plastic bottles each year. Some countries, such as Bangladesh, France, and Rwanda, have banned plastic bags. Since 2017, anyone offering plastic bags in Kenya risks four years in prison or a fine of up to $40,000. The fast food giant, McDonalds, plans to make all its packaging from recycled or renewable sources by 2025. Thankfully, for every problem created by a new breakthrough technology, such as the plastics revolution and the resulting pollution, a new technology can be developed to combat the problem. Unfortunately, at this point in time, none of the new technologies seem to be very effective or commercially viable. There is hope, but as always, more research is needed. Plastic eating bacteria. A team of scientists searching through sediments at a plastic bottle recycling plant in Osaka, Japan, have found a strain of bacteria that has evolved to consume the most common type of plastic—plastics made from ethylene terephthalate, commonly called PET, which are used in polyester fibers, disposable bottles, and food containers. Plastics feature long molecular chains called polymers, which most organisms can’t break down. Lab tests show the bacteria uses two enzymes to break up the polymers before they’re consumed. Inside the bacteria’s cell the plastic is further broken down and its carbon and energy is used to build more cells. “We hope this bacterium could be applied to solve the severe problems by the wasted PET materials in nature,” said Kohei Oda, one of the researchers on the project. Currently, the research is just at the laboratory phase, not ready for introduction on a large scale suitable for commercial application. Bioplastics. Plastics can be made from plant matter rather than hydrocarbons. Some plant-based bioplastics already exist; for example, packing peanuts, which can be made from starch instead of styrofoam. Not all plastics made from biological sources are biodegradable since they are chemically identical to petroleum-based plastics. In specific cases, products made from bioplastics can be triggered to biodegrade in the correct environment. Converting plastic into oil. The Japanese inventor, Akinori Ito, has developed a machine that converts plastic bags into oil. In the process, one kilogram (2.2 pounds) of plastic can be converted into one liter of oil. The conversion process takes approximately 1kWh of electricity. The conversion begins with the heating of the plastic and then feeding it into the pressurized oxygen-free oven. The oven temperature reaches 427° C (800°F), which converts the plastic into a liquid. The machine then transforms the liquid into a gaseous state where it is trapped and allowed to cool. The vapors condense when cooled and form a mixture of gasoline, diesel, kerosene, and heavy oil. The resulting crude oil can be used for heating or refined into higher grade petroleum products like gasoline. The machine is a bit pricey for the average household, at around $10,000. Depending on the price of oil and electricity, this process will likely become more economically viable and widespread. Recycling. Recycling, or converting used plastic trash into new plastic products, is a great idea; however, the realities aren’t as appealing. The rate of plastic recycling has remained low, less than ten percent, due to the very nature of the plastic itself. Plastic products contain unique blends of proprietary additives that prevent recycling of mixed batches of products back into original products. Unlike glass and aluminum, which can be recycled back into its original consistency, most plastics recycling is considered “down-cycling” into a lower quality, hybrid-plastic end-product. Much like the case of recycling lumber, which ends up as a composite “particle board.” Except for the small fraction of plastics suitable for recycling or combusted for energy production, all plastics eventually end up as trash in landfills or as litter. In our everyday lives, we can be part of the solution to the problem of plastic pollution. Since it would be virtually impossible to stop using plastics all together, there are a few simple strategies that will help. Recycle: Think about where you are disposing of the used water bottle or plastic plate or cup; put it in a recycle bin or start recycling around the house. Some trash services make it very easy with special bins just for recyclables. 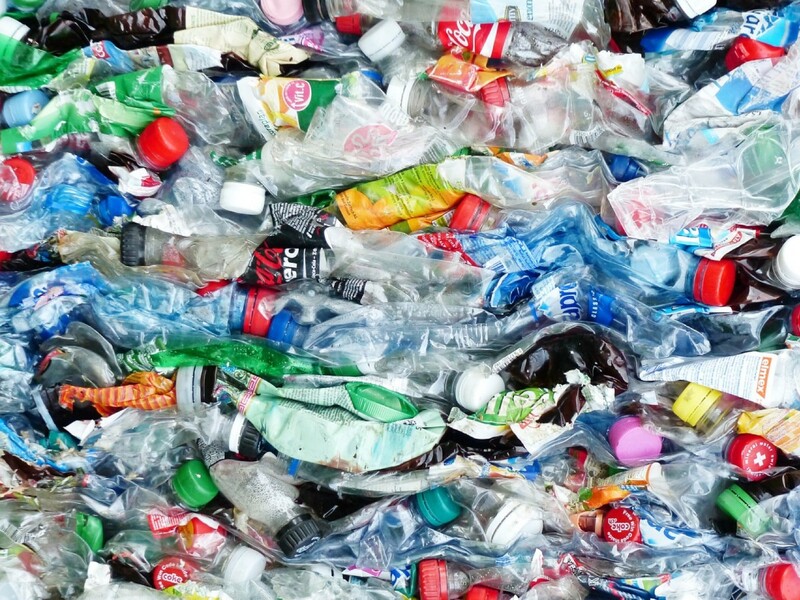 The recycling process for plastic isn’t perfect, but it helps. Avoid plastic bags. Next time you go to the grocery store and the person bagging your purchases asks “paper or plastic,” respond by giving them your reusable bag. They are cheap and a lot sturdier than the micro-thin plastic bags provided by the store. Avoid items wrapped in plastic where possible. For example, my wife sent me to the store to pick up some items, one of which was sweet potatoes. Thinking back, I screwed up, I bought the potatoes already washed and wrapped in plastic, ready to throw in the microwave. I should have bought the loose potatoes in the bin—they were probably cheaper anyway. I’ll do better next time, but little things like this can add up to reduce the total plastic usage on the planet. Contact your representatives. Let your local, state, and national legislative representatives know you are concerned about the problem of plastic pollution. We pay them to help us, so put them to work. I would love to give a happy ending to this article and feel confident the problem of plastic pollution is going to go away quickly and easily. However, not all stories have a happy ending and the problem of plastic pollution won’t be resolved any time soon. Projections indicate that even more plastic products will be produced in the coming decades and then thrown away. The mountains of plastic trash on land and sea will grow a little bit higher. It will take years of debate and legislation at the local, state, country, and international levels to enact meaningful laws to curb the growing problem. And technology doesn’t seem to be much of a help as a commercially viable solution doesn’t appear close at hand. All we can do as citizens of planet Earth is to daily try to reduce our reliance on plastic products, recycle, and encourage those in charge to put an end to this global problem that affects each of us. Baker, Maverick. “How to Eliminate Plastic Waste and Plastic Pollution with Science and Engineering.” https://interestingengineering.com/how-to-eliminate-plastic-waste-and-plastic-pollution-with-science-and-engineering Accessed August 22, 2018. John, Tara. “Ways to rid the world’s oceans of plastic trash.” Time. June 26, 2017. “Key Fact about Plastic Pollution.” States News Service. July 24, 2018. 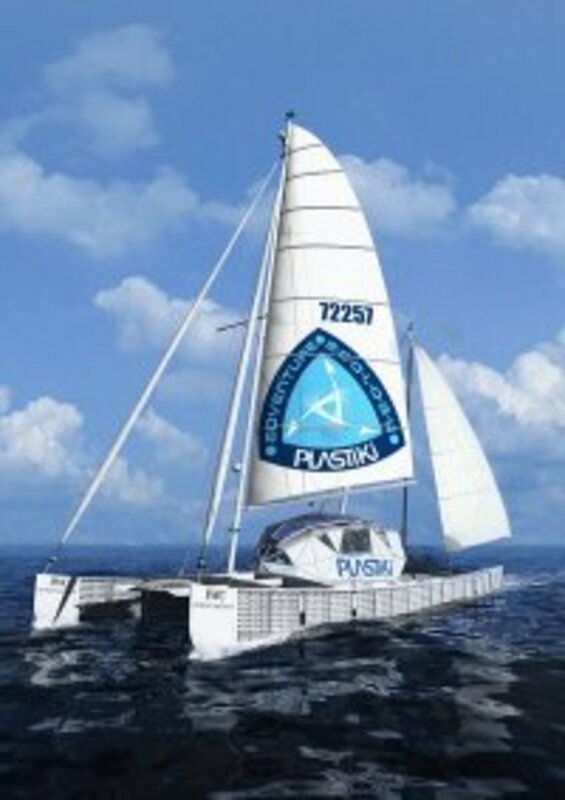 “The Global Crisis of Plastic Pollution and What Are the Ways To Curb It.” Business World. June 10, 2018. Lee, Yen Nee. “The world is scrambling now that China is refusing to be a trash dumping ground.” CNBC. April 16, 2018. Siegle, Lucy. “What You Can Do to Beat Plastic Pollution.” Huffington Post. July 26, 2018. Botkin-Kowacki, Eva. “Scientists discover plastic-loving bacteria in recycling plant.” Christian Science Monitor. March 10, 2016. “This Japanese Invention Can Recycle Plastic into Oil” https://interestingengineering.com/japanese-invention-converts-plastic-into-oil. February 27, 2017. Accessed August 25, 2018. Botkin-Kowacki, Eva. “Closing the loop on plastic recycling?” Christian Science Monitor. July 5, 2018. “How plastic straws became so popular.” Time. July 23, 2018. Freinkel ,Susan. Plastic A Toxic Love Story. Houghton Mifflin Harcourt. 2011. 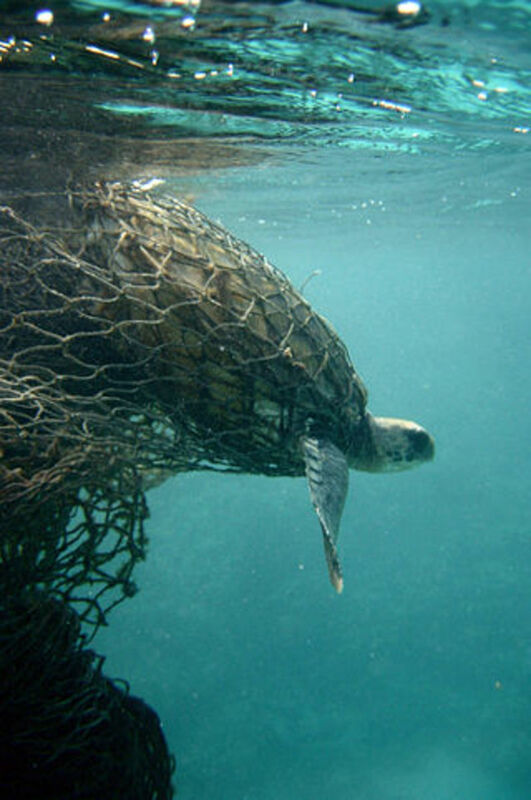 "The oceans are becoming littered with plastic. It is estimated that by 2050 the oceans will contain as much plastic as fish. When plastic gets dumped into the ocean, the effects of the wave motion, salt water, and ultraviolet light start to break apart the plastic into “microplastics,”..."
Here is another solution: reduce the human population to a sustainable level. Men must become responsible for their own procreation. Men must get a vasectomy after one child until a target level is reached. What is that target level? One billion? 100 million? 10 million? Tim and Mary: Since I have written the article I have become much more aware of just how much plastic we use everyday. For example, my wife and I took our young grandsons out for lunch yesterday at a fast food restaurant and I was amazed at just how much plastic there was in the packaging. Much of the plastic had a recycling symbol which is good, but there was just so much plastic in the food containers. Something has got to change. Each time we go to our beach, we see these trash. We have to clean and rake it everyday if we want to swim in the water. We don’t even know what to do with it other than bag it and bring it to the dump. It is time we take seriously the problem of plastics. We have been changed by plastics and use them in so many things. 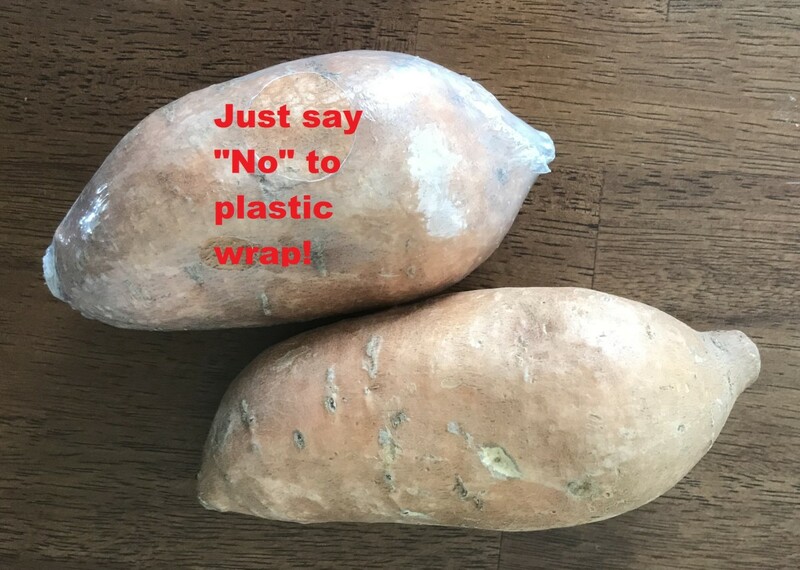 Rolls of plastics to put vegetables and fruits in grocery stores are still used. I shopped at one grocery store in Hanoi where you are given a basket into which you put all the veggies and fruits you want to buy and bring it to the cashier. It was a good practice. Great article on a topic that concerns all mankind. Reading the numbers you provided made me think about how we really don't consider much about how we are impacting our environment. The story about sweet potatoes was funny because we all probably simply don't think about it until later. My wife and I like to shop at our local farmer's market because, like you said, we can get vegetables and fruits without plastic bags. One of the things I've read some countries are doing is using plastic bottles to help make houses for the poor. Although it doesn't remove the plastic immediately, it does keep the materials out of the environment temporarily.